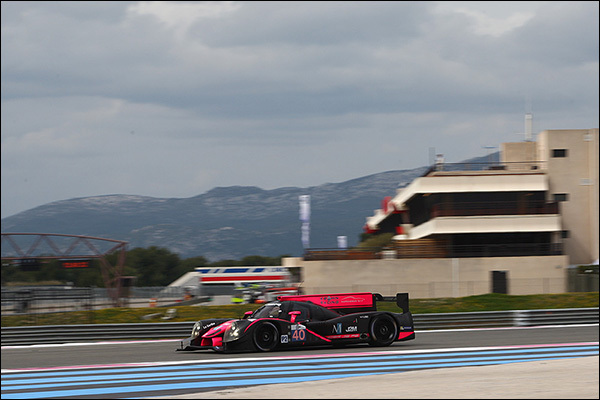 The ELMS Test Days saw what looks set to be a very attractive grid of LMP2s for the 2015 season gather for two days of track action which showed off new teams, new cars, new drivers and new liveries. 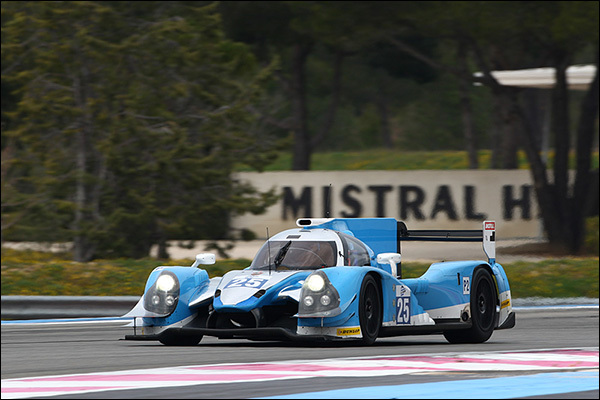 The team runs the ex Thiriet by TDS Ligier Nissan, now owned by Michael Munemann, plans for a second car have been parked as a result for the current uncertainties surrounding the P2 regulations. The team are working on a full season solution and tested James Winslow, Andrea Roda and (on Tuesday) Rodolfo Gonzalez. 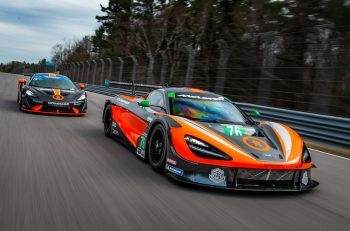 Winslow, initially slated to race this year with Gulf Racing, popped in the car’s best time of the test, a 1:49.737 in the Monday afternoon session. The car topped the times overall in the mainly wet final session of the test on Tuesday afternoon, the session starting in dry conditions but getting progressively wetter. The brand spanking new Paolo Cantone designed BR01 arrived at the track on Tuesday morning and was unveiled later in the day. It was not however able to run, the team awaiting some final parts (electronics and bodywork). 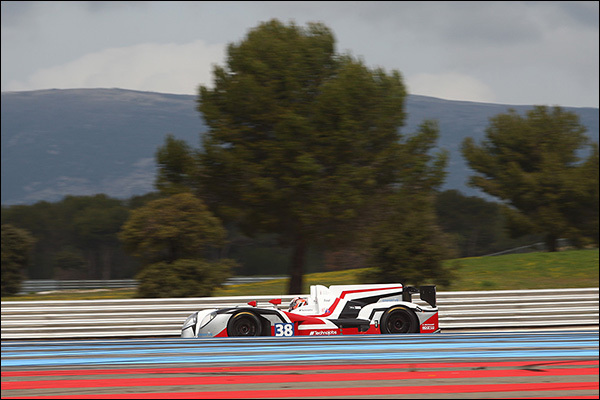 Paolo Cantone told DSC that the team will stay at Paul Ricard for the remainder of the week and hope to run on Sunday and Monday after the WEC Prologue. Full season signing Leo Roussel was joined by none other than Ho Pin Tung on Monday, the Chinese driver posting the team’s fastest time of the Test in the afternoon session. The second day of the test saw Ho Pin replaced by David Cheng as the Julien Schell run squad close in on their full season solution. That includes a decision on the rubber that they will utilise for 2-15 – DSC believes that the car ran on Dunlops on the first day, and on Tuesday morning too, but tried out Michelins for the final session, though any conclusions to be drawn were likely delayed by the rain that started soon after the session went green! 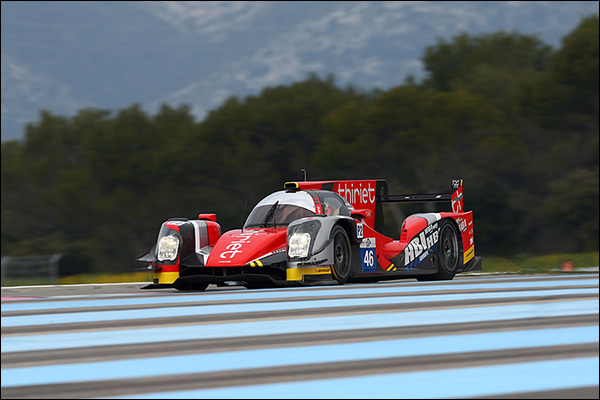 Mark Goddard’s team is closing in on an ELMS debut with their ex Sebastien Loeb Racing Oreca 03.R and they have a convincing 2 man driver squad ready to shoulder the load. In classic 21st century Pro-am style the gentleman driver, Pu Jon Jin is supported by ‘his’ Pro driver, the remarkably rapid Dutchman Nico Pieter de Bruijn. The effort looked strong, put in a remarkable number of laps and could well prove to be season contenders for podium finishes. 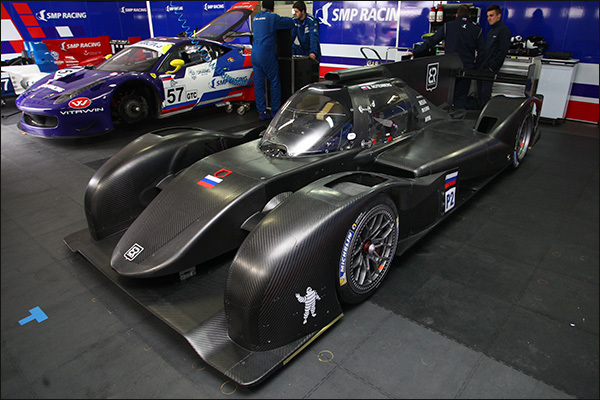 Anton Ladygin, Kirill Ladygin and Mikhail Aleshin were all on track in one of the team’s soon to be permanently parked Orecas, the team running on Michelin rubber. David Markozov also got some track time too, as did Maurizio Mediani. The car was unsurprisingly quick, in particular in the hands of ex single seater star Aleshin, the team’s only drama being a puncture that brought out a red flag prematurely ending the first Monday session. A very successful test for the Jota Sport team saw the newly renamed and uprated car always in the top group on the timesheets, the team topping the times sheets in the night session, the Gibson in Tincknell’s hands at the time and popping the car into the 1:48s. Simon Dolan and Filipe Albuquerque are already confirmed for the 2015 ELMS but the team are looking for a third driver once again after Nick Yelloly’s originally announced tenure fell foul of commercial woes for the new addition. Harry Tincknell was delighted to be back with the team for the test but there is no confirmation yet of the solution to the full season ELMS enigma. Tracy Krohn and Nic Jonsson made the trip for the second day only after contesting the Sebring 12 Hours over the weekend. 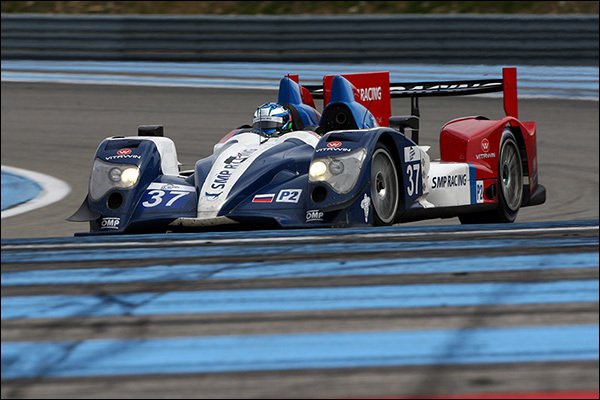 With their full season Ligier Judd still in the United States the team ran with a spare Oak Racing Ligier Nissan (together with an Oak Racing pit crew). 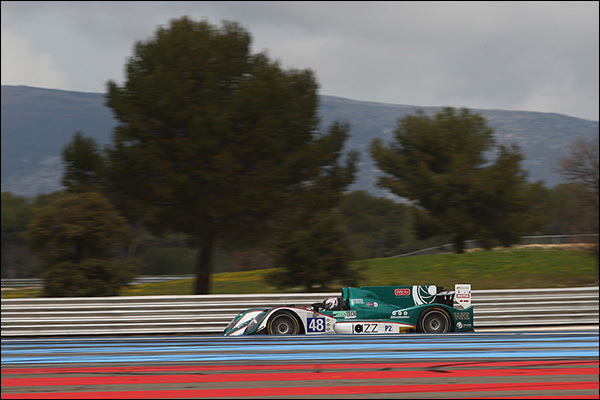 Neither driver had previously run at Paul Ricard but the times for both driver cm down rapidly with useful mileage rocked up and circuit knowledge gained. There was a very new look to the Greaves Motorsport Gibson Nissan courtesy of their new partners Kairos technologies and a new look driver line-up for the test at least. Bjorn Wirdheim had raced with the team in the past, but Gary Hirsch, Jon Lancaster and Saud Al Faisal were all new names. 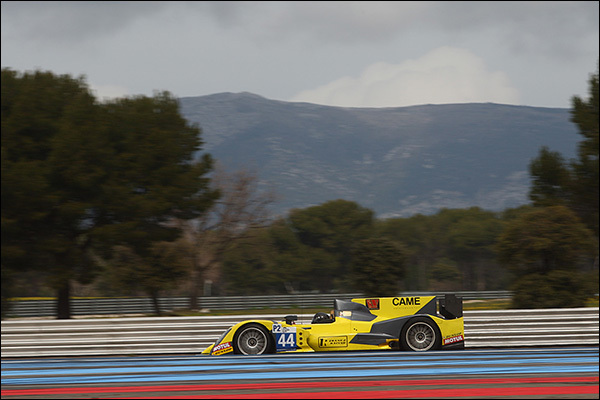 The car was competitive throughout the test, topping the times on Monday afternoon with a 1:48.955 from Wirdheim. The final 2015 line-up is yet to be confirmed. The effort was focused firmly on further set-up and aero work with the Gibson, the team leaving happy with their work. 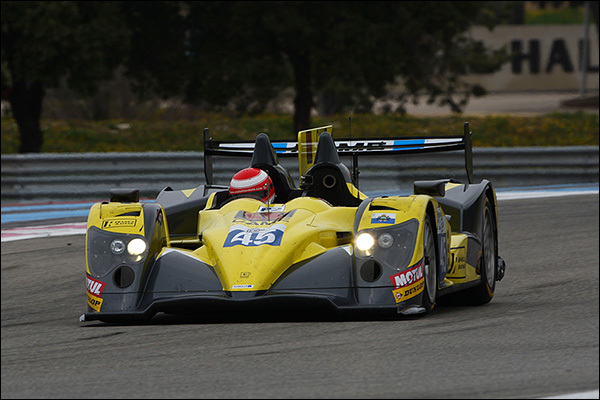 The #44 car was very much the junior’ car here with Pierre Perret and Michele La Rosa joined by Yutaka Yamagashi – Team owner Jose Ibanez was named in both cars. 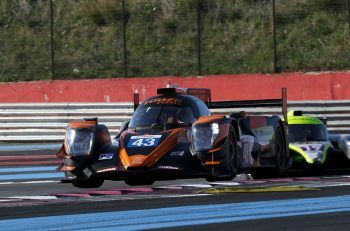 Much the more rapid of the Ibanez pair was the #45 car, for the most part courtesy of the rapid Ivan Bellarosa, Ibanez and Perret were named in this car too. The potential of the package was underlined by the Italian, 1:49.214 in Monday’s second session was good enough for second fastest. 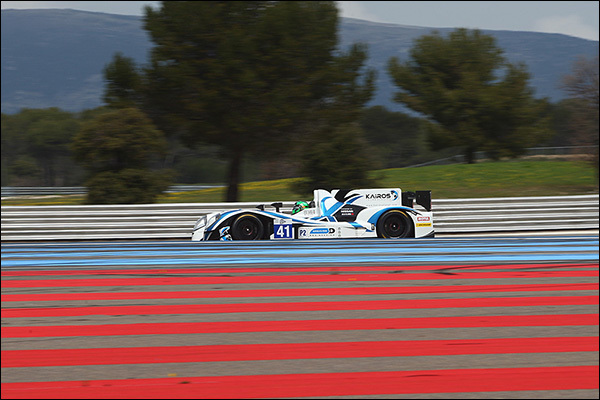 The brand new Oreca 05 Nissan was impressively quick almost throughout the test days. a 1:48.432 from the mercurial Tristan Gommendy was enough to top the times on Tuesday Morning, making the #46 the second fastest car in the test. 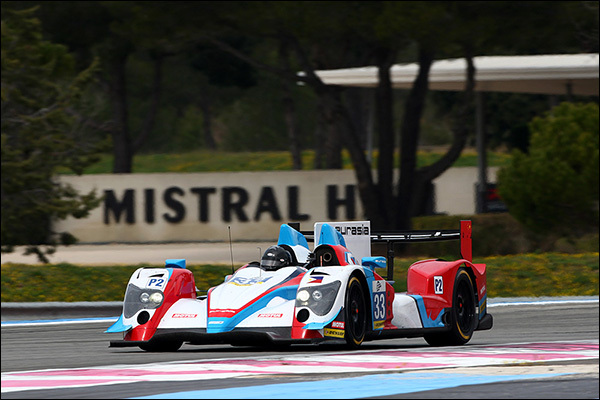 Pierre Thiriet and Ludovic Badey complete the full season trio – If the new Oreca proves to be reliable this team look like real contenders. The1:48.155 from season signing Nathaneal Berthon was something of a statement from the team, and the driver. That mark wasn’t bettered over the two days with the subsequent sessions seeing more quick laps and good progress both from new signing Michael Lyons (full ELMS) and team returnee Mark Patterson. 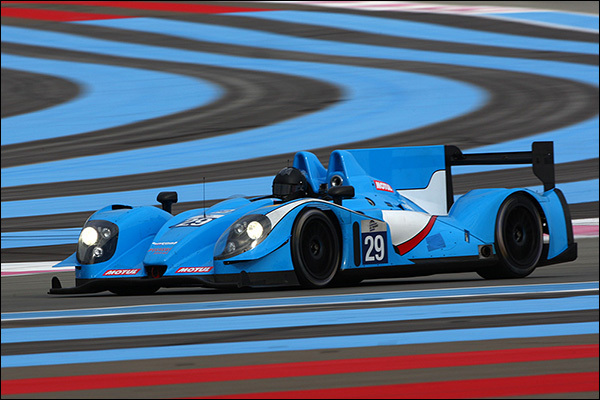 That season trio is confirmed for the full ELMS but the team have still to decide on a final line-up for Le Mans.